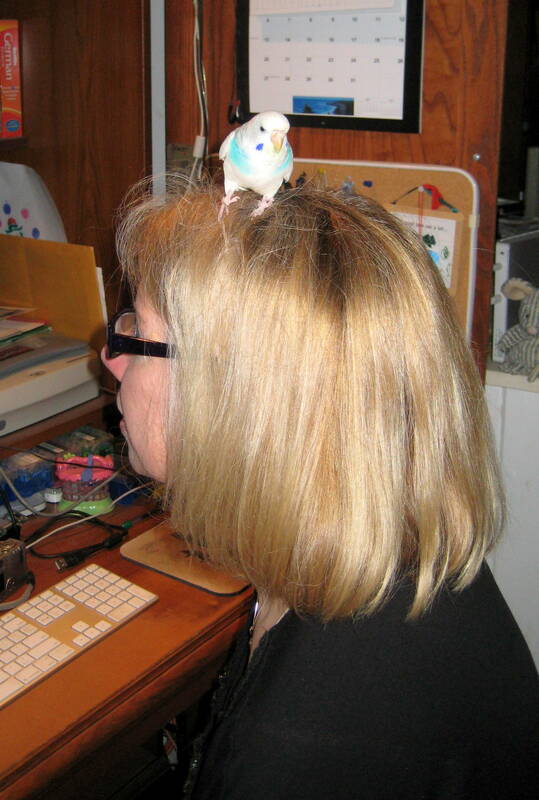 I was visiting my friend when her bird flew from its cage and perched atop my head. It was a little weird to feel little bird feet in my hair, but I wasn’t overly concerned. What could a little bird do? So that’s what a little bird can do. “Uh-oh,” I thought. I let the bird stay a little too long in my hair. I should have reacted sooner. It’s never a good idea to let a bird stay too long on your head, for obvious reasons. It seems I hesitated a little too long in this situation. As a result I ended up with poop on my head. So it is with the way of temptation. We can let it sit a little too long and end up with a situation much worse than this. When we are tempted, the best plan is the one we hear from our brother Paul in 1 Timothy 6:11 and again in 2 Timothy 2:22. Both times he tells us to “flee” or run away from temptation. James tells us that when we let temptation conceive, burrow in our hearts and grow – it soon becomes sin. When tempted, no one should say, “God is tempting me.” For God cannot be tempted by evil, nor does he tempt anyone;  but each one is tempted when, by his own evil desire, he is dragged away and enticed. Then, after desire has conceived, it gives birth to sin; and sin, when it is full-grown, gives birth to death. When we are slow to forgive we will end up with very unfortunate consequences, much worse than any bird can produce. We can not only miss God’s grace, but lack of forgiveness always negatively affects many others. While I didn’t love the poop that settled on my head; this little bird reminded me of the lesson to always be urgent in shooing temptation away. A lackadaisical attitude or hesitant start can end up defiling us and many others. Great analogy, Jeannie. I have just one question—aren’t the quotes from 2 Timothy actually from the apostle Paul? Your stories always draw me in. Who wants to read about temptation? That wouldn’t e my first choice for reading material 😦 but I was curious about the bird on your head and kept on going to get the spiritual apps. Thanks once again for sharing your thoughts!